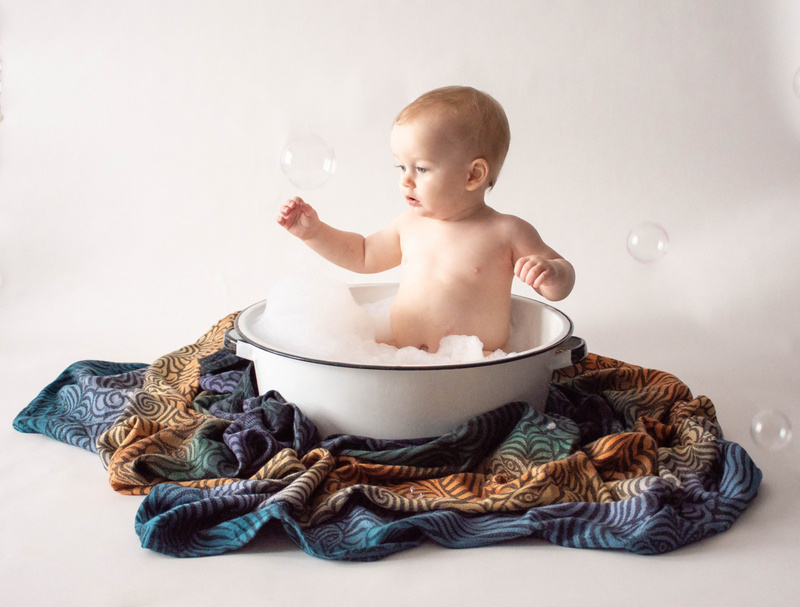 KLFROST Photography is Columbus Ohio’s best Baby Photography Studio. Each client is unique and their session is designed specifically for them. We will meet weeks before your baby’s 1st birthday and I will learn your families preferences & unique birthday theme. The day of your session you will arrive to my studio prepared for you and your little one; a 3 part workflow designed for your little one, your custom “smash” treat, a comfortable space to decompress and capture this precious milestone. One year milestone session uniquely designed for an amazing family. 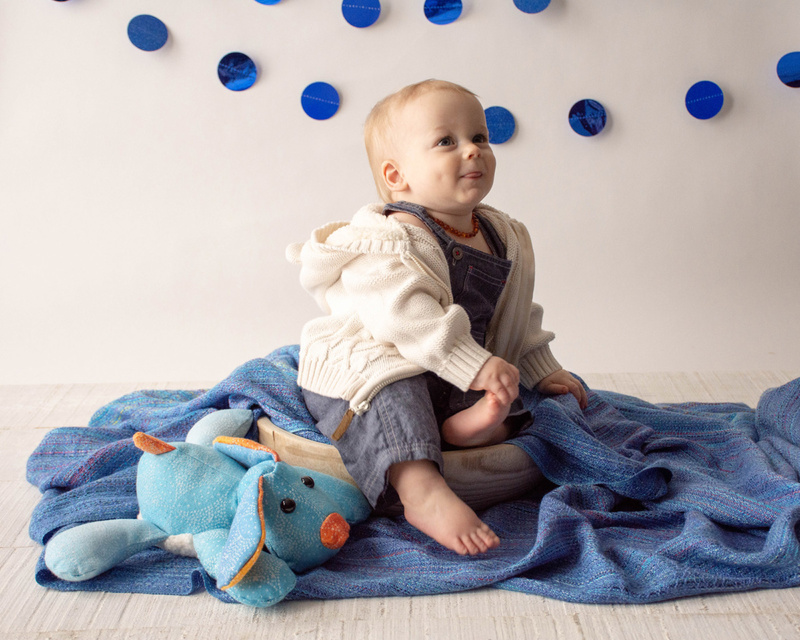 The Crabtree’s are celebrating their 3rd boys ONE YEAR milestone with a portrait session tailored for him. 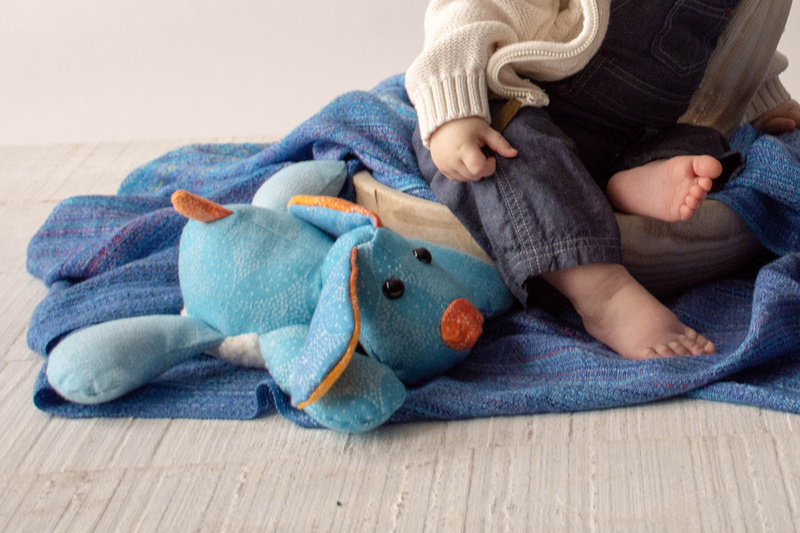 This lil’ guy loves his handmade – by MOMMA – puppy, made from a well loved baby wrap. 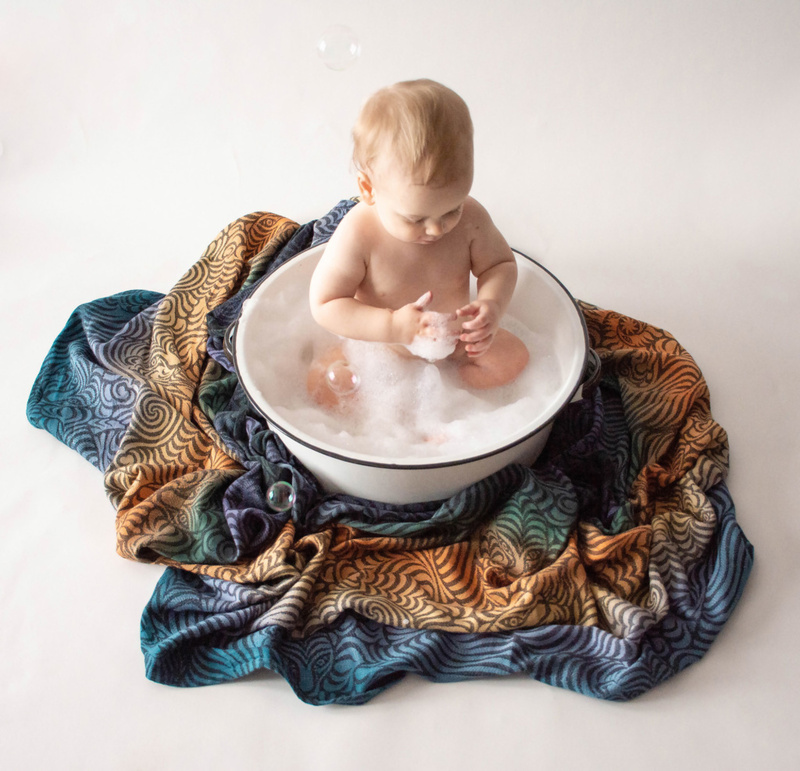 Mom & Dad are both active baby wearers with an extensive collection of different textures, styles, colors and types. 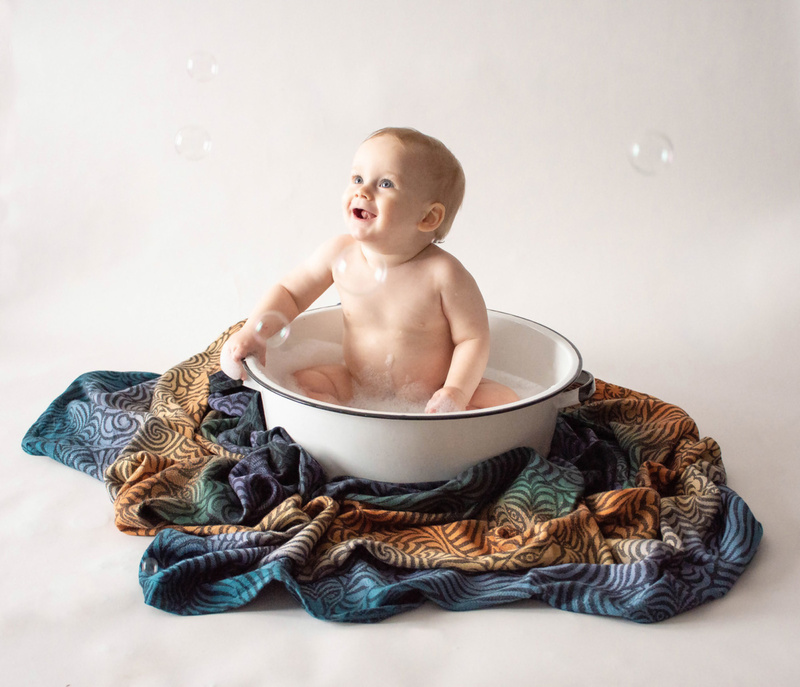 Incorporating a favorite wrap and lovie made from a well loved one, well that’s just part of this families legacy. 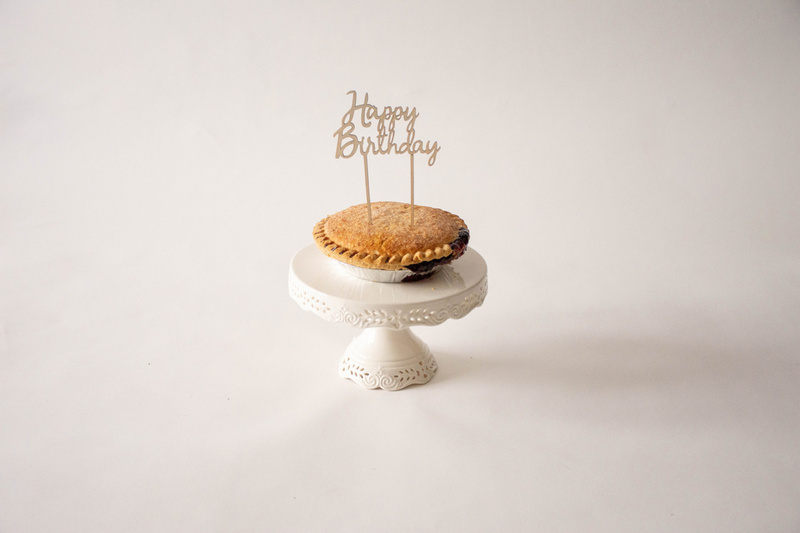 There are 3 sections to every ONE YEAR Session that I design; portrait, cake smash, bath & bubbles ending. When mom & I met for their in person consultation, Mom mentioned that Nathan’s 2 older brothers that also had this special milestone captured. 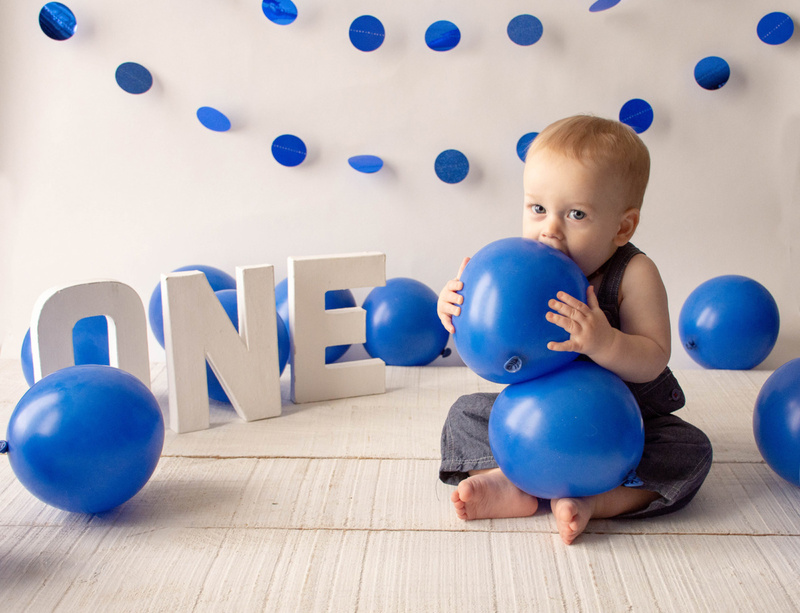 Balloons were a FUN part of one of his brothers sessions and Nathan loves balloons! Check out this cutie patootie toes, what a sweetheart!!! Momma mentioned her babes love for opening boxes. 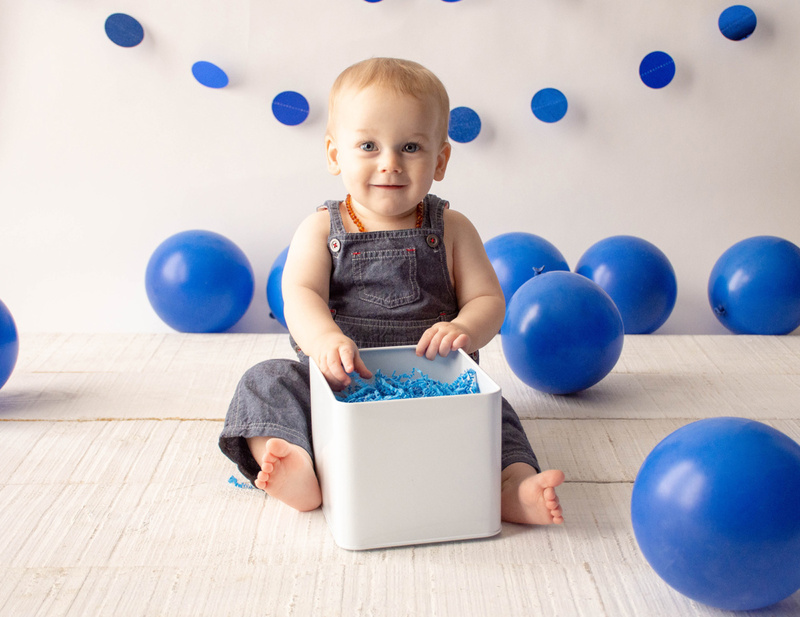 I found the perfect metal box to hide a surprise full of shredded blue paper for Nathan to play with, you can find that box here from The Container Store. 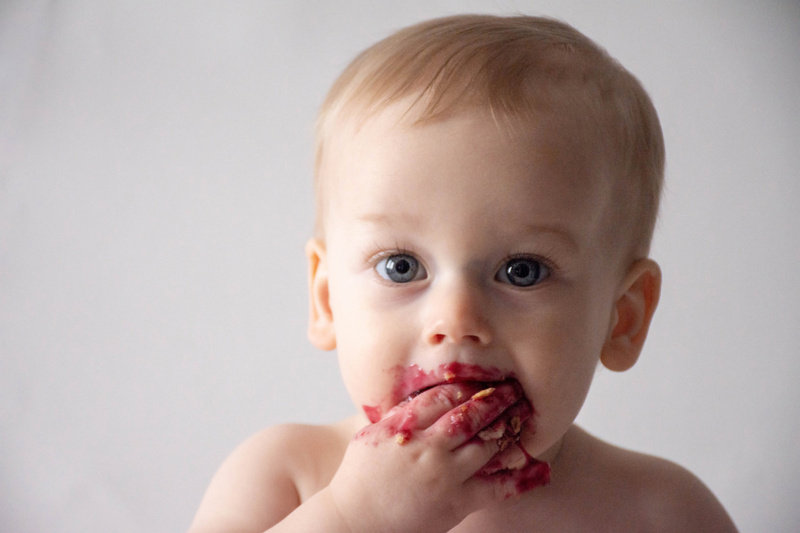 The second part to any ONE YEAR Baby Session captured by KLFROST Photography includes a a locally made sweet treat. I love to provide this added convenience, together we will decide what will work best with your theme and flavor preference. 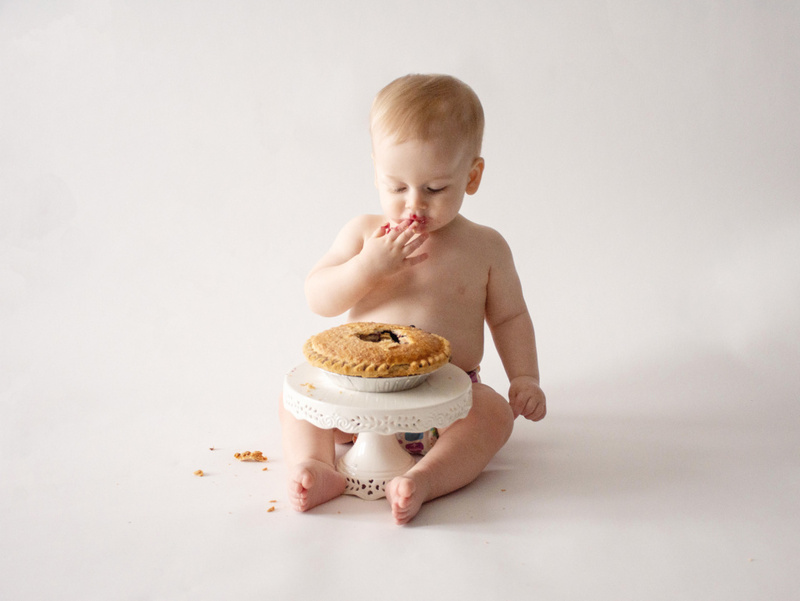 This treat is included in every ONE YEAR Session with Columbus Ohio’s best Baby Photography Studio. No added stress of ordering, picking up and remembering to bring this added luxury. In the middle of winter I was wonderfully surprised to find a local babker that offers a blueberry pie — every day a that. The staff at Just Pies in Westerville Ohio were helpful, just lovely to work with, you can find their info here. They even let me know to not stick the pie in the fridge, to leave it at room temperature in it’s special box with the lid cracked. Not something this 38 year old would have known—haha! At the end of every ONE YEAR Baby Session with Columbus Ohio’s best Baby Photography Studio, is a Bath & Bubbles ending — or Milk Bath with flowers. Nathan’s family decided on a custom Bubbles & Bath with warm water and suds in a vintage white washtub. Daddy LOVES this wrap!!! An absolutely stunning addition to his heirloom artwork. This is a fun way to clean up after a messy SMASH! Thank you Crabtree for the honor of capturing your precious boy!